After decking your house with everything from smart lights and speakers to robot vacuums and connected ovens, the remaining things you may be looking at and wondering if they can integrate your home 2.0 setup are your shades. Replacing existing shades with new connected ones isn't easy or cheap, but if you've already taken that step or looking into it, you should know that they will soon be natively supported as a device type in Google Assistant. Better yet, Lutron's connected shades are the first ones to roll out this integration now. Lutron says it collaborated directly with Google on this feature. Previously, the company allowed you to control its lights and set scenes (even those that involve shades) with Assistant, but the full shades controls are new. If you own the company's Serena, Triathlon, Sivoia QS, or Palladiom shading systems, you'll be able to ask Google to open or close them, as well as have them stop at a specific height or angle (for tilt shades). You can also ask whether a shade is open or closed and get an answer. 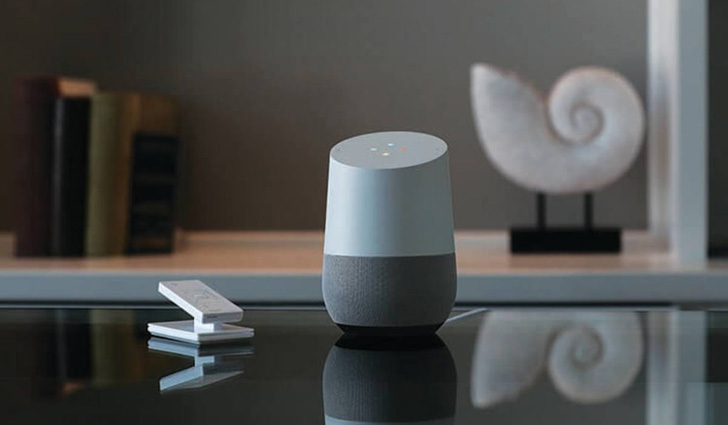 The Google Assistant can communicate with Lutron Serena, Triathlon, Sivoia QS, and Palladiom shading systems through the Lutron Caséta Wireless smart bridge, the Lutron RA2 Select main repeater, and the Lutron RadioRA 2 and HomeWorks QS systems via the Lutron Connect Bridge. 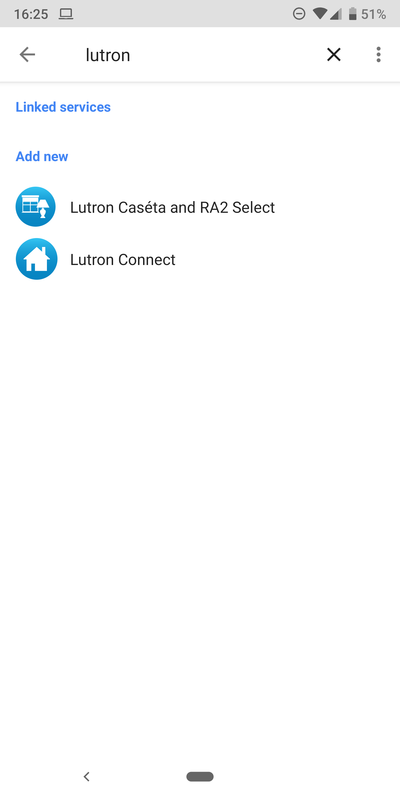 I don't have any Lutron shades installed, but I had a quick look through the native services supported by Assistant and found both the Lutron Caséta and RA2 as well as the Lutron Connect. That should be your starting point for setting up existing shades. If you had already linked your Lutron account, you need to ask Google to "sync my devices" to pull up the shades, or you may have to remove the account and add it again. Coopersburg, PA -- Lutron Electronics, the leader in light and shade control, today announced a new collaboration with Google that allows homeowners to easily control their Lutron Serena, Triathlon, Sivoia QS, and Palladiom shading systems using the Google Assistant, offering greater flexibility and peace of mind. Whether it’s a single shade or an entire home full of them, shades can be operated with a few spoken words – or remotely, through the Lutron app. Lutron Caséta Wireless, RA2 Select, RadioRA 2 and HomeWorks QS lighting control systems already work with the Google Assistant. The addition of Lutron shades is the latest product of a collaborative engineering effort between Lutron and Google. "Lutron customers appreciate the simplicity and convenience of using your voice to control lights. Expanding that level of convenience to Lutron shading systems elevates the smart home experience for our customers,” said Ed Blair, Executive Vice-President at Lutron Electronics. “This latest integration with the Google Assistant reinforces Lutron's leadership in the connected home space and allows customers to extend smart home capabilities to new heights. For today’s busy families, this service is invaluable." Google is a leader in the market, with digital assistants quickly making their way into the homes of smart home ready consumers. Just say “Hey, Google,” to a voice-enabled speaker powered by the Google Assistant and you’ll be able to take advantage of Google services, adjust the thermostat, stream music, and do any number of everyday tasks. Now, you can easily control Lutron shades throughout the house. In addition to controlling shades anywhere in the house with a simple request to the Google Assistant, you can ask the Google Assistant to open or close a particular shade – and even have it stop at a certain height or (for tilt shades) angle. Don’t know what level a shade is at? Just ask: “Hey Google, is the (specific name) shade open?” The Google Assistant will respond and react in real time. In addition to Google Home, the Google Assistant is accessible via mobile devices. With this on-the-go control, you can adjust the shades when you’re away, making your home look lived-in even when you’re on vacation. Visit lutron.com for more information.